I’ve read all of Secret Avengers volumes two and three. 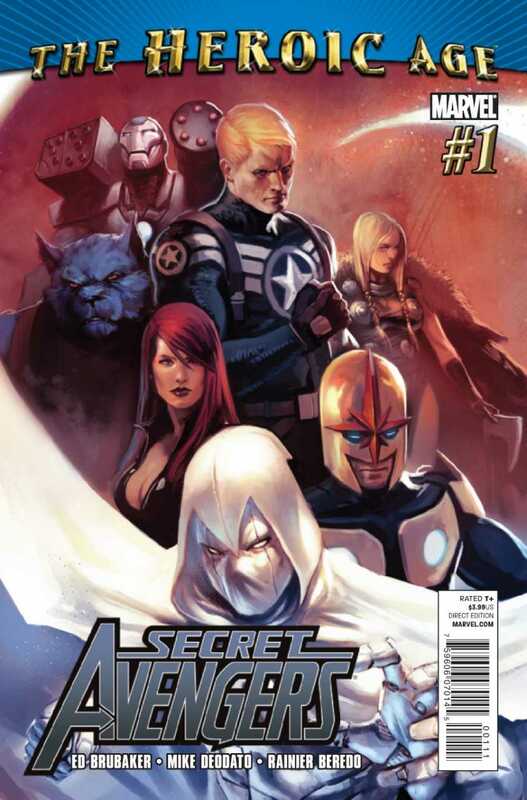 But I never read what I have called the Captain America Secret Avengers. So now with my second favorite S.H.I.E.L.D. title cancelled, it is time for me to dip into the past and catch the original version of this team written by Ed Brubaker with art by Mike Deodato, one of this agents favorite artists. Steve Rogers is back from the dead and no longer carrying the mantle of Captain America. So he and his ex-S.H.I.E.L.D. girlfriend Sharon Carter sets up a Black Ops Avengers unit. The team attempts to recover super-powered artifacts and weapons. And like the Invaders during World War II, Rogers’ team operates outside the spotlight. The team of misfits looks to recover the Serpent Crown. But there are plenty of missteps and mistakes along the way. And a trip into space! In the end the reader asks what is the Shadow Council and how are they connected to S.H.I.E.L.D.? So Steve Rogers has a team that runs around collecting super powered objects. Sounds to me like season one and the plot to “0-8-4”! It appears from this first issue that Steve and his gang will be collecting, perhaps indexing and storing away in their fridges super powered things. I wonder if people will be next? Seriously, if you are a Tuesday night fan this storyline is really going to seem familiar. I wonder if we might explore the consequences of a fallen Avenger coming back to life? How long before Steve is the Director of S.H.I.E.L.D? Of course this is all before Phil Coulson retuned on the small screen! This comic is from 2010. So at times it is a bit confusing, since I do not fully remember everything that happened right before this issue in the order they occurred. But I was able to suffer through! Yep, still love Mike Deodato art! Moon Knight does not join teams, they have too many voices! Really this crew is a jumble with spies, mutants, heavy hitters and cosmic heroes. But Rogers seems to make it work. Again, he is Coulson before Coulson, with his vast knowledge of personalities and powers he really is assembling the team that he needs not the one that we want. I am in. Well everyone knew that. But my attention is had with the final image which makes me wonder about the Shadow Council. And who is that man at the end, is he the guy I think he is?